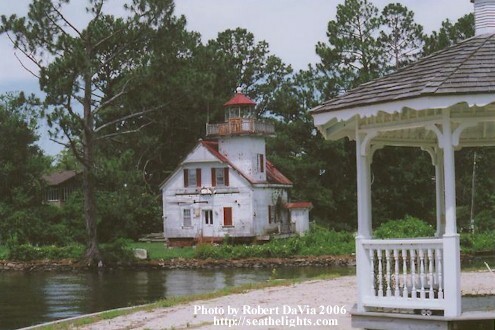 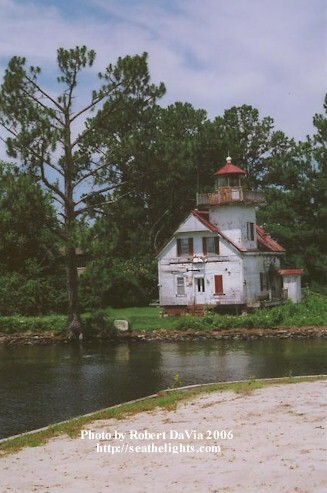 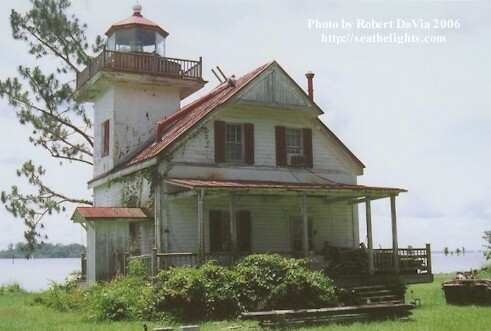 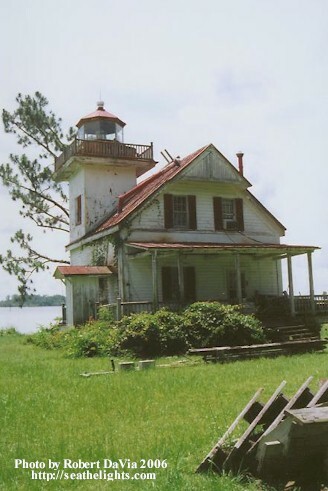 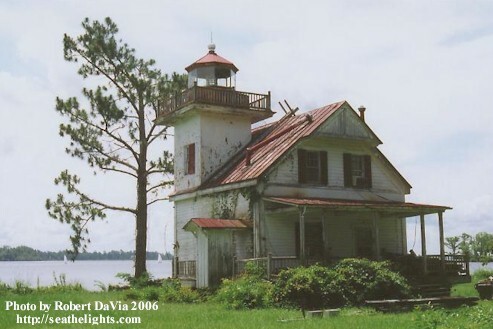 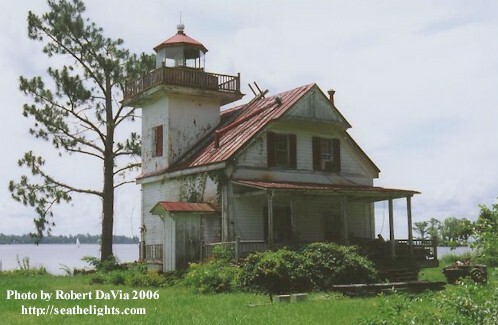 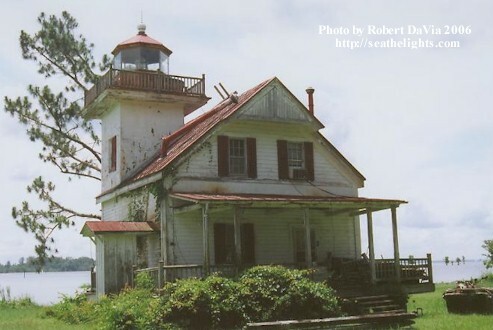 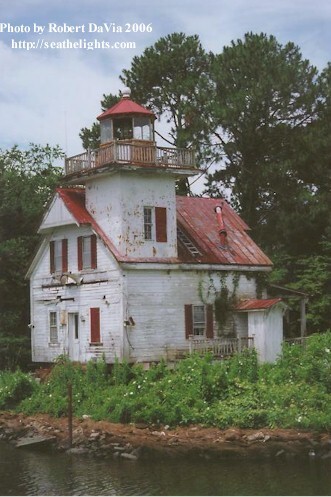 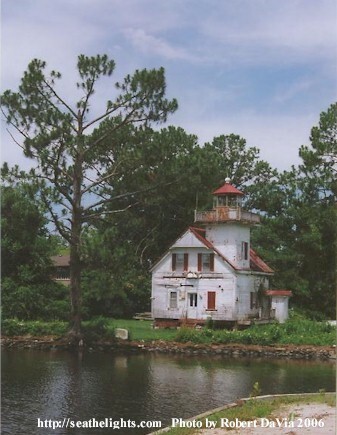 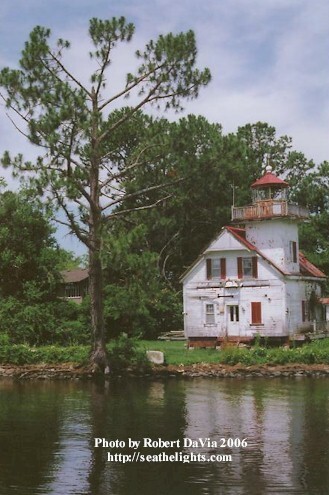 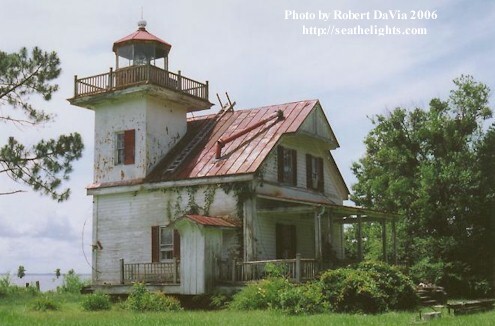 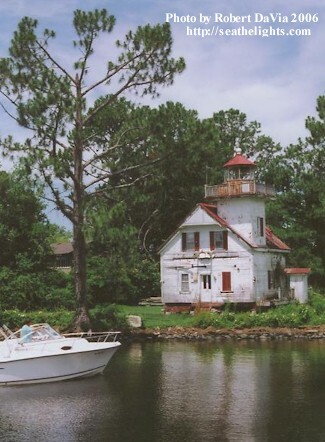 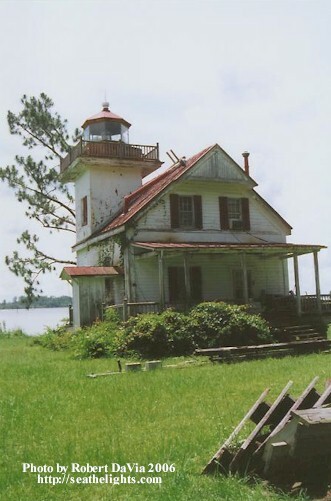 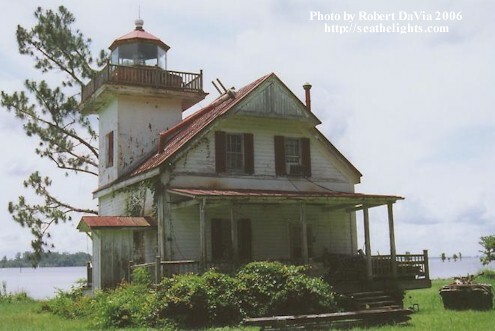 The Roanoke River Light Station was originally established on Albemarle Sound in 1835, when a three-masted sailing ship was converted into a light station, to help navigators find safe entrance into the Roanoke River. 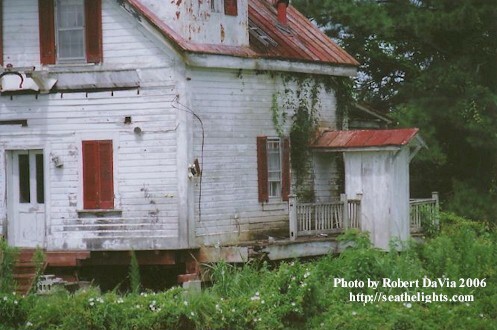 During the Civil War, it is believed that the ship was scuttled in an effort to stop the blockade runners. 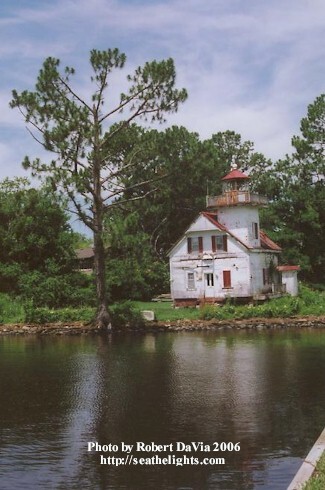 In 1866, a screwpile lighthouse was built to replace the earlier ship. 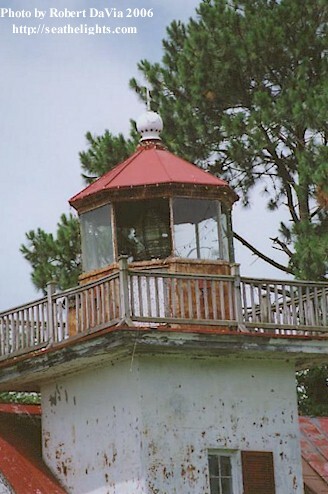 However, that station was destroyed by ice in 1885. 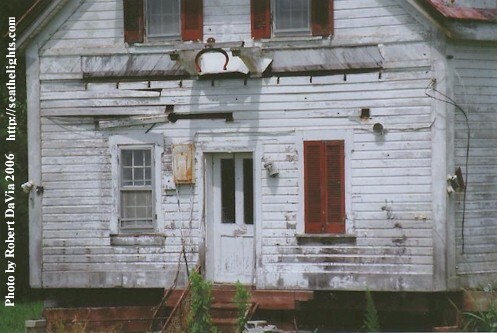 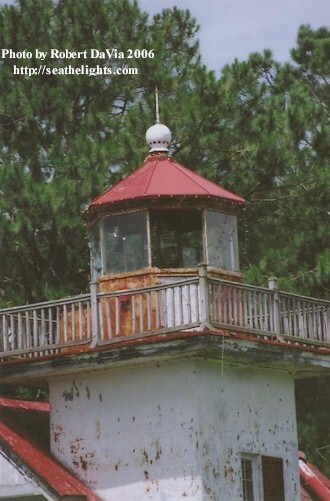 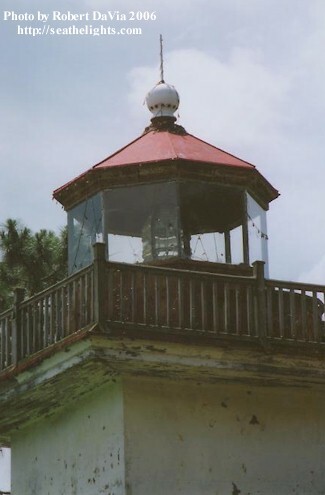 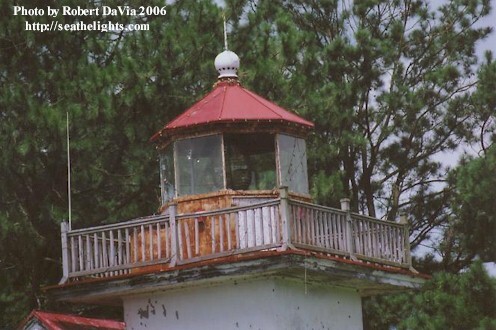 This page was updated, with pictures taken July 8, 2006, to show how much this structure has deteriorated since 2003. 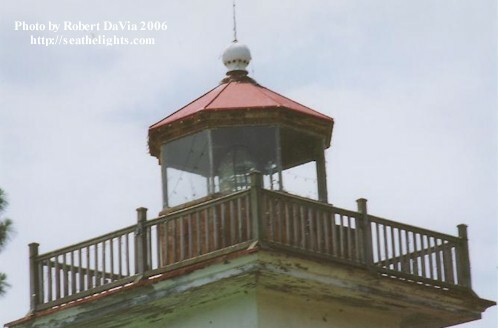 To see my original page, with the 2003 photographs, click here. 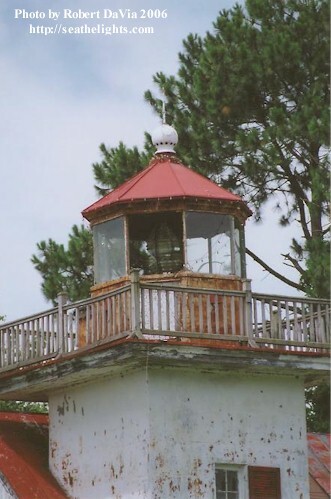 Half of the pictures below were taken from the residential area of Pembroke Circle, and the other half from the grounds of the lighthouse. 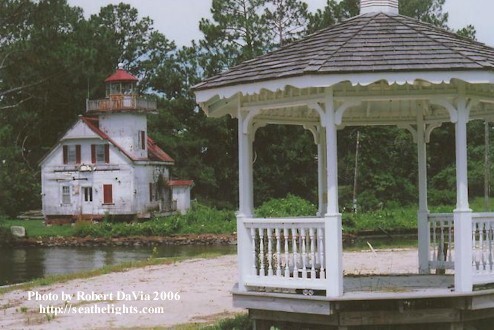 Please respect property rights and obtain owner permission if you plan to photograph from private property. 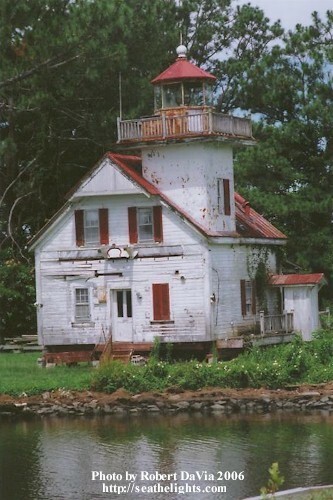 How quaint this stucture must seem to those that travel this way by boat.